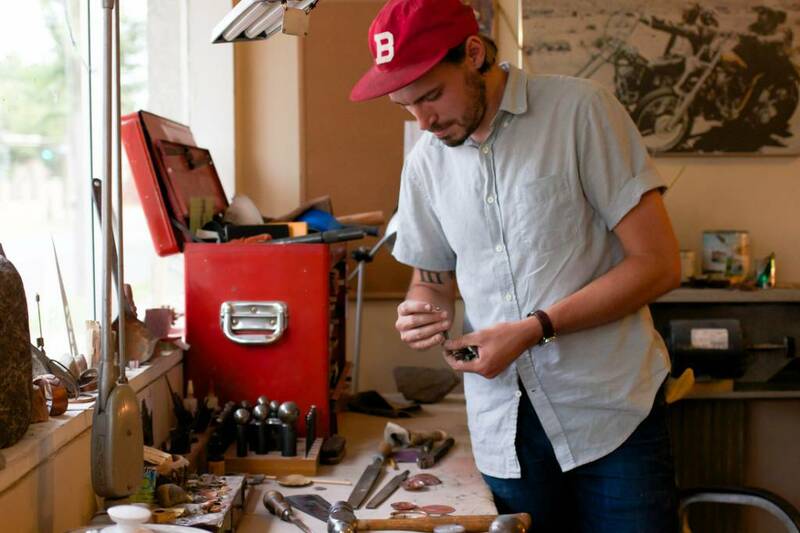 THIS IS NICK LUNDEEN, MAKER OF BEAUTIFUL WOOD CARVED SPOONS, COPPER HOOKS AND TINY HAND FORGED DISHES. HIS CRAFTSMANSHIP IS TRULY IMPECCABLE. NICK WAS KIND ENOUGH TO GIVE ME A TOUR OF HIS STUDIO AND LET ME SNAP SOME PHOTOS. IT'S ALWAYS SO WONDERFUL TO LEARN ABOUT THE MAKER BEHIND THE OBJECT.